Kevin-Prince Boateng described his move to Barcelona as a "dream" after the midfielder's shock loan switch was confirmed. 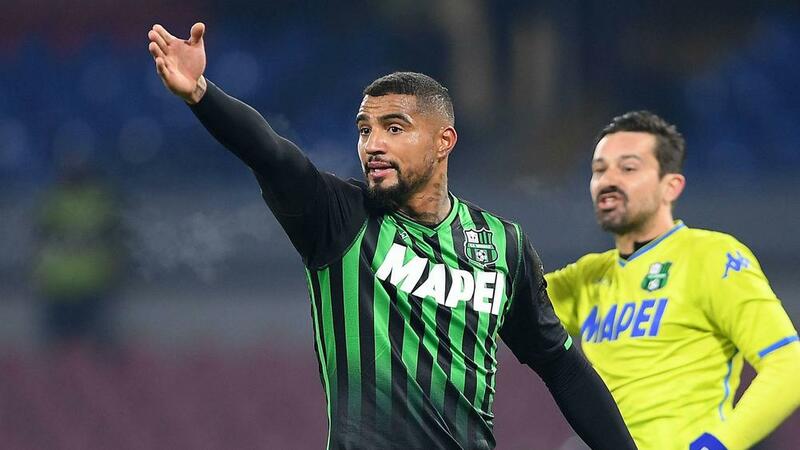 Boateng, 31, joined the LaLiga giant on loan from Serie A side Sassuolo for the rest of the season, with an €8million purchase option included. The former AC Milan and Tottenham midfielder said it was a dream to get an opportunity to play for Barca. "I'm very happy. It's a big honour to be here and have the possibility to play for this great club," Boateng told Barca TV. "For every kid who starts to play football I think it is a dream to play for a club like Barcelona, so for every player and especially for me it's a big dream come true." Boateng only arrived at Sassuolo from Eintracht Frankfurt in July last year, making 15 appearances for the club.